If you're going to make a change, you have to make sure it's the right one. 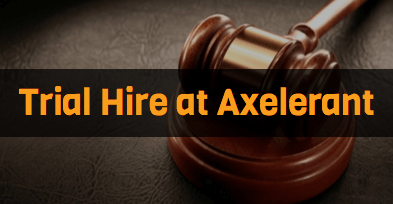 At Axelerant, every career placement starts with a trial hire. We’ve found trial hires to be an excellent way to determine whether or not we’re a match for each other. Our trial hire period lasts 30 - 90 days for team members. During this period, local and remote team members get to know Axelerant’s culture, the work pace, and our uniqueness. Likewise, we get to know new hires better. The trial hire program is openly talked about during the interview process, and we encourage questions and feedback. Every applicant knows what to expect from the beginning. All of our policies are transparent, and we adhere to them before a candidate joins us. We’ve learned through a variety of hard lessons that the 30 to 90 day trial periods make the most sense. With positive feedback and positive metrics, we can ensure you’re right for us, and we’re good for you. Consider an Axelerant career with these details in mind. Our team members need to be disciplined and well suited, with KPI’s to show for their efforts. Our clients expect nothing less from us. 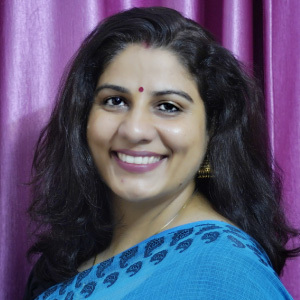 Off work, Mridula is an avid reader and prolific writer. If you ask her what she writes, she'll tell you poetry. That's as far as you'll get (secrets).